The Classic Four Pocket Tweed Waistcoat available in pure wool or the 100% Cotton Moleskin. 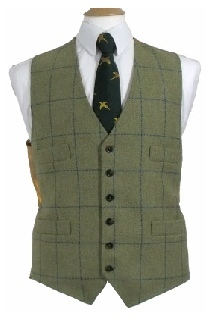 A classic tweed waistcoat suitable for sporting use or everyday wear, smart in the field, office or casual. please select 38" 40" 42" 44" 46" 48" 50"
This website is owned and maintained by County & Country Clothing Limited and is officially authorised by Beaver Of Bolton to sell its clothing range. We have a small stock of items not featured on the website that are available for delivery now.